Spring has sprung and the Monument to Monument ride is upon us. We had over 35 riders last year. I'm hoping for a big diverse group of eager riders again this year. 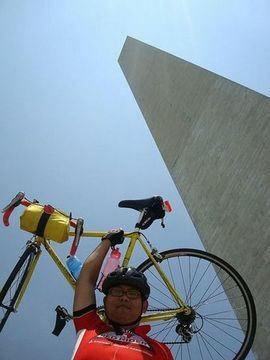 M2M is a 92 mile roundtrip single day bike ride from Baltimore to Washington DC on safe, lightly trafficked roads. We keep it slow and steady for this ride, enjoying the company of fellow riders and the excitement of arriving in another city by bicycle.